This entry was posted in Meeting Agendas on June 7, 2018 by Chris Boone. III. Board Members in Attendance: Glenka, Grelson and Ryan. Members: Jennie Earles, Crystal Garrett, Jason Garrett, Dave Ritenburgh. IV. Reading and approval of March and April minutes. VII. Treasurer’s Report: #219, $20.00, Office 365/TCCC computer. Checking: $851.63 & Savings: $25.36 = $876.99. Motion made by Ryan: To research and purchase QuickBooks 2018 for TCCC computer. Seconded by Grelson. TCCSA Operating Costs – $13,500. $10,608.74 spent. $3,122.26 remaining. 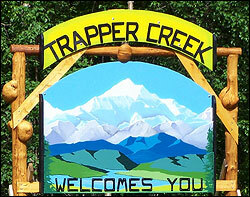 TCCC Operating Costs – $1,000. $313.84 spent. $615.07 remaining. Nordic Ski Club – $300. No activity. $80.52 spent, $219.48 remaining. Village Safe Water Program (VSW): CIP grant application was required. CIP grant application, Sanitation Improvement Project Report, and letter of request was submitted to Donna Lee, Village Safe Water Engineer II, Project Manager, per Ms. Lee’s request to TCCC. Above was completed and submitted April 27, 2018. Applications to Board of Directors: Applications were received. FY2017 Community Assistance Projects: (formerly Revenue Share program) were submitted and reviewed to ensure adherence to requirements and supporting information. 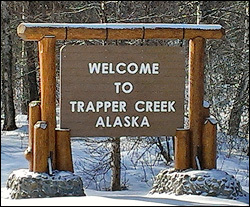 Applications received from: Upper Susitna Food Pantry/Pantry Support ($4,000); Food Box Preparation (for Trapper Creek school children during Christmas and Spring Break ($2500.00); TC Community Services Association Operating Expenses ($10,000) and TC Winter Trail Grooming ($2,000). FY2017 funds available: $12,900.00. Total requested: $18,500.00. Dates set for voting on the TCCC Board of Directors for May 21-June 9, 2018 at the TC Library during regular library business hours. Results will be obtained at the June 21, 2018 TC Council meeting. Community Assistance Program (CAP) FY2017 dates for voting will be May 21- June 9, 2018 at the Trapper Creek Library during regular library business hours. Project voting results will be obtained at June 21, 2018 TC Council meeting. Vote Tally Committee for both A & B above are Jennie Earles, thus far. Two other individuals will be working with her, but not yet determined. XIII. Date of next meeting scheduled for June 21, 2018, 6:30 pm. This entry was posted in Meeting Minutes on June 7, 2018 by Chris Boone.